Happy French Friday! How is your December going? Mine’s been busy, but with fun stuff like a birthday party for my daughter and Christmas preparations. I’ve been decking the halls and trimming the tree! Thank goodness for last week’s easy French Fridays with Dorie recipe, since I doubled up this week with it and the current week’s recipe. I also have a little bonus at the end of this post! 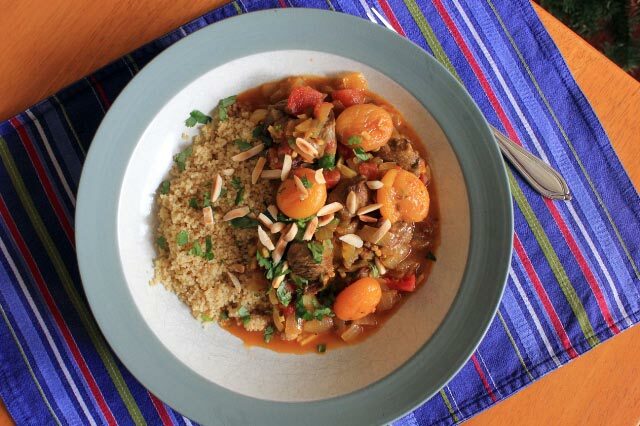 This week the group made a Moroccan-inspired dish called Lamb and Dried Apricot Tagine. Lamb shoulder, onions, tomatoes, and dried apricots were braised slowly in broth infused with exotic spices, including garlic, saffron, ginger, cumin, and cinnamon. To finish, each serving was sprinkled with toasted almonds and chopped cilantro. 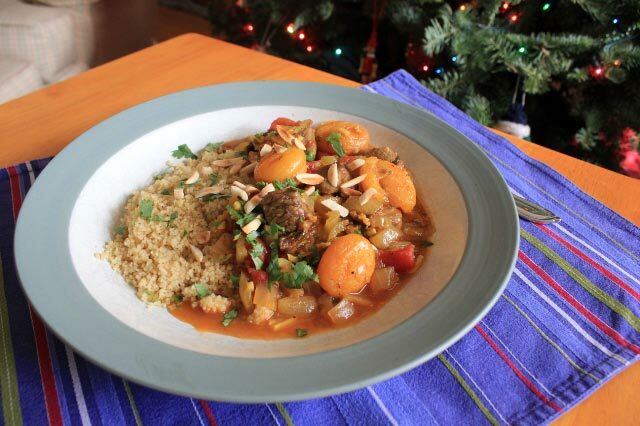 I served it with plain couscous, which was perfect for soaking up the flavorful sauce. We liked this! My husband wasn’t sure about the apricots when he saw them, but it turned out he had nothing to worry about. I loved the variety of flavors and textures. A hit for sure! Next up is a simple open-faced sandwich: Tartine de Viande des Grisons. The hardest part about this one was finding the bresaola, a dry-cured beef from Italy. Interestingly, I looked for this at Whole Foods and they didn’t have it, but when I returned a week later they did! Like I said, this one is simple. 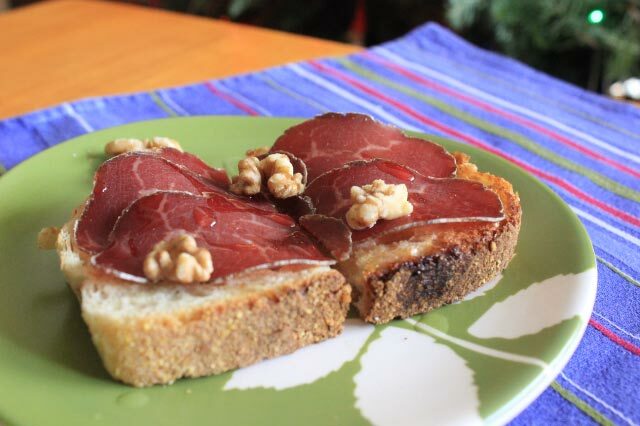 Lightly toast a slice of country bread, butter it generously, top with a layer of bresaola, drizzle with a bit of walnut oil, and strew on a few pieces of walnut. Cut and eat! Yum! This made a lovely little lunch that I enjoyed very much. 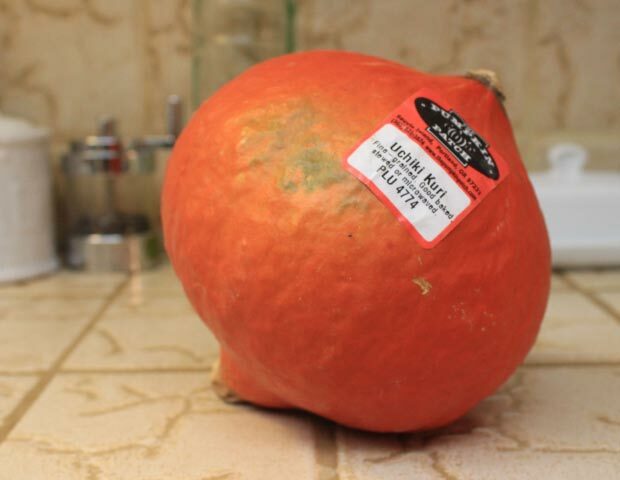 Finally, I found a “real” red kuri squash while in Seattle for Thanksgiving. I brought it home and re-made the red kuri soup from a few weeks ago. If you recall, I wasn’t convinced the squash I found here in Reno was really a red kuri squash. Or it least it wasn’t the kind you can find in France. As you can see, the one I found in Seattle looks more “authentic”. I made the soup again with my new squash. It definitely had a different flavor and we liked it much more. My husband wasn’t comparing this version to boxed soup. Whew! However, I don’t think we liked it as much as the French seem too. 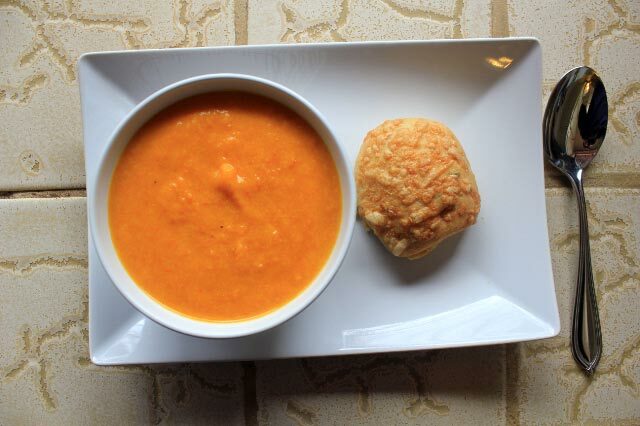 I think I will stick with my favorite butternut squash soup recipe. But I am glad to have tried this with the second squash. Is it really Friday again already? Actually, today felt more like a Saturday because it is Nevada Day, a state holiday, and my daughter and husband had the day off. Yay, three day weekend! This week’s French Friday’s with Dorie recipe was a delicious, comforting one called Chicken Tagine with Sweet Potatoes and Prunes. Since chicken and sweet potatoes are two of my husband’s favorite foods, I knew this one would be a winner. The chicken and sweet potatoes are joined by a generous amount of onions that are sauteed gently until very soft. They are seasoned with saffron, cinnamon, star anise, a bay leaf, and honey. The whole thing is braised until tender. The scents coming from the stove were heavenly! We all really enjoyed the Moroccan-inspired flavors of this dish. As expected, the chicken and sweet potatoes were a hit (I cooked extra potatoes because I knew we’d want them). Both my husband and I felt the prunes added a special something to the dish. They were not only delicious to eat, but they imparted a wonderful flavor throughout the whole dish. This was a very satisfying dish to make and eat. I highly recommend it! You can find the recipe in Dorie Greenspan’s book Around My French Table.